Getting ready for the release of the motion picture UglyDolls, Outright Games, Whitespace Entertainment and STX Entertainment are please to announce that the UglyDolls: An Imperfect Adventure video game will be launching before the movie premiere on May 3rd. The video game will be releasing on Nintendo Switch, PS4, Xbox One and PC on April 26th. UglyDolls: An Imperfect Adventure coming to PlayStation®4, Xbox One, Nintendo Switch™ and PC in April 2019. Los Angeles, CA – February 7, 2019: Global video game publisher Outright Games, Whitespace Entertainment (WSE) and global next generation media company STX Entertainment (STX), today announce UglyDolls: An Imperfect Adventure, a new videogame set in the UglyDolls universe known as the Uglyville. 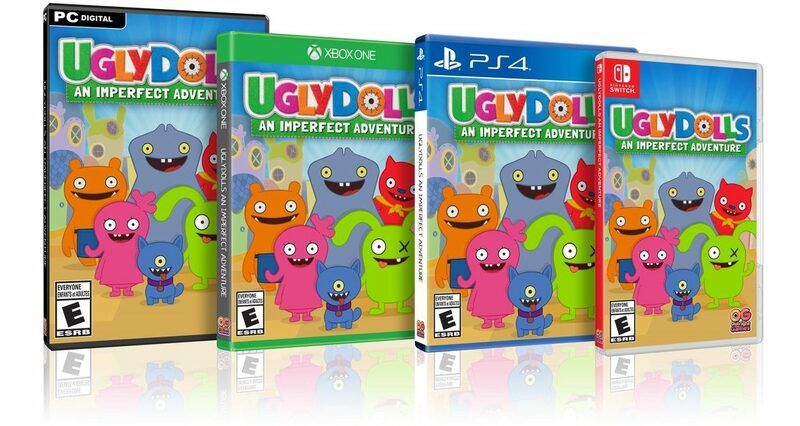 Based on highly anticipated animated film franchise UglyDolls ,the game will launch in North and South America on PlayStation®4, Xbox One, Nintendo Switch™ and PC on April 26, 2019. UglyDolls: An Imperfect Adventure will be available on PlayStation®4, Xbox One, Nintendo Switch™ and PC in North and South America on April 26, 2019.